Commemorating the Last Supper and the desolation after, this is an evening service, 8 pm, with music from the St. John’s Choir. Holy Eucharist is celebrated – including additional bread and wine consecrated for Good Friday – and attending members strip the altar, for the hopelessness when Jesus was arrested. An Altar of Repose is set in the sacristy to represent a garden tomb for Jesus, and the consecrated Blessed Sacrament remains there overnight. In the darkness we will light the fire on the corner of Cornelia and Cedar! The same fire that Jesus imparts to us each Easter. This candlelight service will welcome the risen Lord back to our hearts and minds as we welcome Cora into the Body of Christ in Baptism. 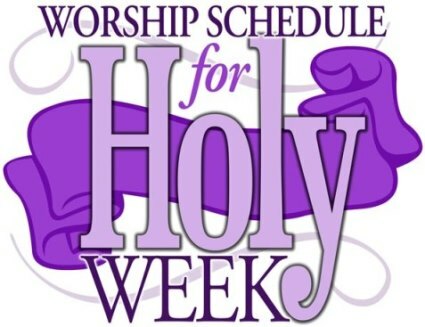 Easter Sunday is April 16th – 9am & 10:30am All are welcome! The Family Mass at St. John’s! St. John’s offer a 30 minute Family Mass with Easter Egg Hunt following. The colorful eggs will be stuffed with treats and then “hidden” outdoors on the grounds. Rain or shine, it’s fun! The joy of Jesus’ Resurrection is celebrated with a joyful service at 10:30am. The St. John’s Choir will be singing special music. There will be guest musicians! Easter Egg Hunt also follows the 10:30 Service.